Italian architect based in Rome. ABSTRACT: Roma Interrotta [a.p.o.v.] originates as a personal interpretation of the designs developed by the internationally renowned architects P. Sartogo, C. Dardi, A. Grumbach. J. Stirling, P. Portoghesi, R. Giurgola, R. Venturi, C. Rowe, M. Graves, R. Krier, A. Rossi, L. Krier, on Nolli’s New Map of Rome for the 1978 project Roma Interrotta. 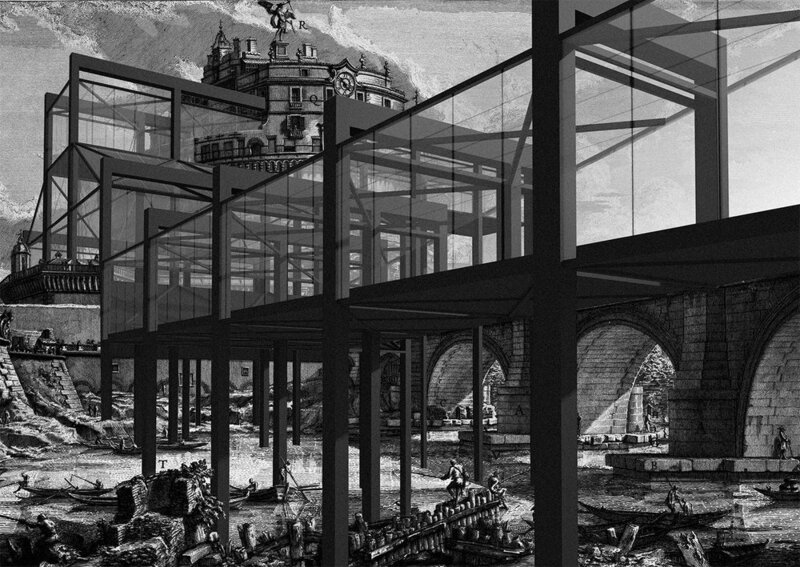 Now, forty years after the first exposition of the project at the Mercati Traianei, another point of view of those utopian proposals is presented, illustrated through Piranesi’s etchings. In 1748, Giovanni Battista Nolli presented Pope Benedetto XIV with the “New Map of Rome”, composed of twelve engravings in which the city was sectioned from the foundations to the roofs. They included 1320 places of special interest, besides 114 squares, 311 buildings, 326 churches, aqueducts and archways, antiquities, well-known fountains, chapels, oratories, monasteries, hospitals… just for a city populated by 150,000 people. Nolli’s Map was the last coherent urban development plan of Rome and, in 1978, in the face of the inertia and land speculation which sculpted the modern “Eternal City”, Piero Sartogo together with the “Incontri internazionali d’arte” proposed to re-design Rome again, starting from Nolli’s Map and working by subtraction-substitution/addition. 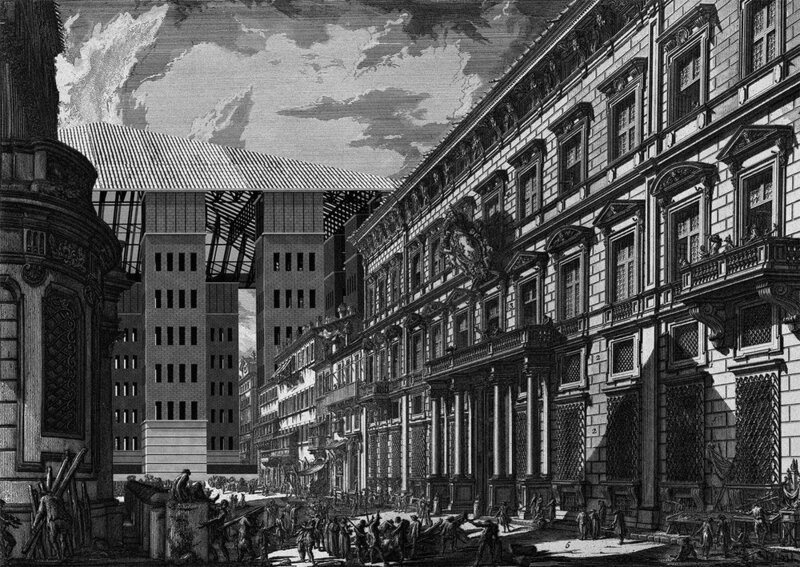 This is how Rome Interrotta originated, which involved inviting the twelve aforementioned architects to propose a new personal design of the city, each working independentlly on one particular sector. 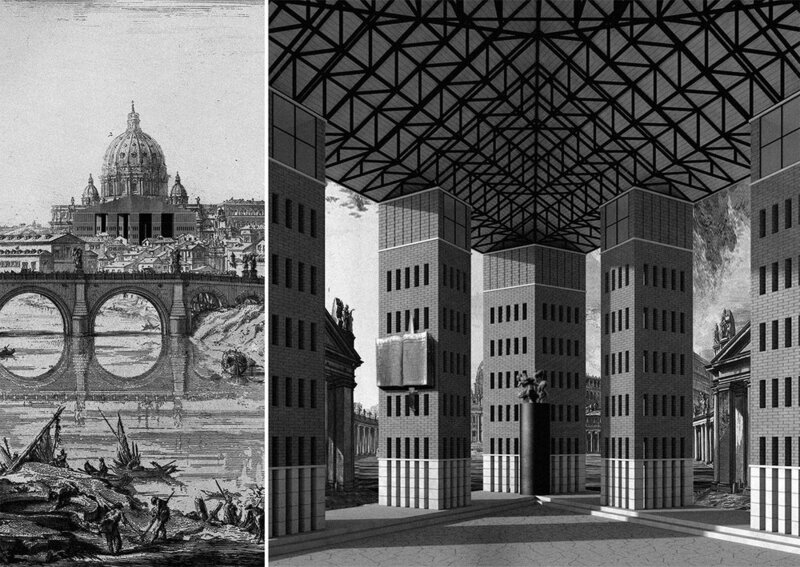 Now in 2016, Roma Interrotta [a.p.o.v] is a new vision of the utopian proposals made by the twelve architects. The thorough study of the original drawings and writings of the 1978 project was the starting point to better understand the designers’ intentions.The graphics try to take into account both the architectural background of the architects and the approach adopted in Nolli’s plan, although they were subject to personal interpretation during the study phase. 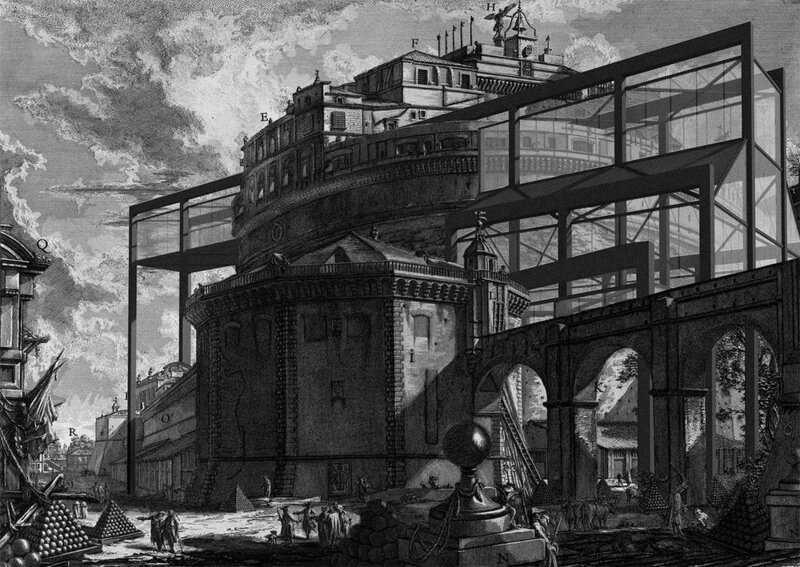 The choice of using Piranesi’s engravings as a common base for the graphics is because it is the closest image of Rome to that of Nolli. These engravings are the common thread of a series of unlinked projects since each architect uses his own architectural language. The only link among them is the need to open a debate: that is, utopia as a concrete philosophy to be transformed into reality, because, sometimes it is necessary to imagine the impossible in order to design the possible.